ASP Bacoor Chapter held a forum entitled “Happy Parent, Happy Child” last 28 November 2015 at the Municipal Extension, Brgy. Hall, Molino 3, Bacoor City, as one of the chapter’s outreach programs. This forum for parents who has a child/children with special needs was made possible by the help of Cavite Chapter President Jan Peña and by the support of the PWD Coordinator Sir Bong Quilao and Brgy Capt. Jun Advincula of Molino 3. The Motivational Forum on Happy Parenting begun opened with messages from ASP Bacoor President Rowena Lagarde and Mr. Dong Quilao, Bacoor PWD Coordinator who welcomed parents and caregivers. “Happy Parent, Happy Child”, a book written by Mr. Cheynad Bondoc, discussed the seven practical lessons on how to have a happy and healthy relationship between parents and children. These seven happy lessons which will change the mindset of the parents about their relationship with their children. 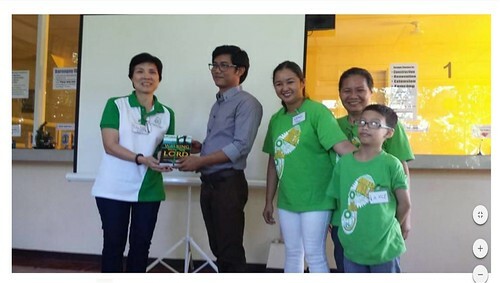 About the contributor: Mrs. Jovelyn Casas is one of the members of ASP Bacoor Chapter. She is a mother of a special child, a housewife and a pastor.